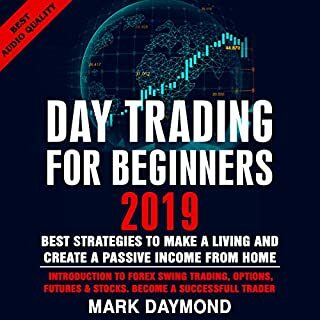 Learn all you need to know about day trading, all the strategies that work in 2019, how much money you need to start, and more. 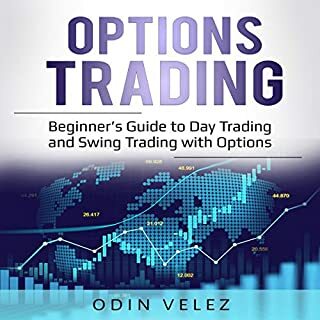 Understanding Options illustrates profit and loss results for simple options and option spreads; explains the Greeks and their importance; outlines how options offer four ways to approach the market; and includes a step-by-step walk-through of placing an order. This book includes three manuscripts with more than 100 proven trading tactics. This book covers useful information for beginners, as well as the advanced trader. There are a lot of great investment options that you can choose. Some people like to work in real estate, some like to put their money into their retirement plan, and others are fans of starting their own business. Most of these will take some time and effort to get done though. If you would like to pick out an investment that can make you some money today, it is time to consider day trading. Day trading can be an exciting way to take your money and turn it into an investment that will pay over and over again. 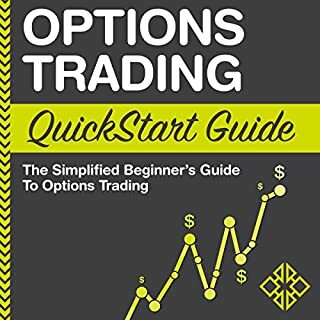 This guidebook is going to discuss everything that you need to know in order to get started with options trading. We will look not only at some of the basics of options trading, but also some of the best strategies that you can use to see success with each trade. Current studies estimate that the amount required to retire successfully is north of $500,000 and growing each year. This is particularly disturbing as more than 60 percent of Americans are currently saving less than they should to meet their retirement goals. 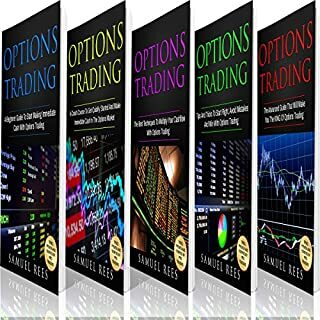 If you are looking for a way to prepare for your future, then Trading Options: Advanced Trading Strategies and Techniques is the book you have been waiting for. It doesn’t matter if you are a seasoned stock market pro looking for a change of investment scenery or an investing novice who is anxious to get out there and start generating a return on your investment. 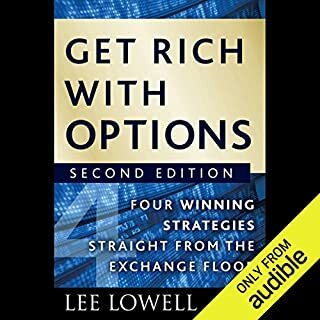 With the detailed strategies provided in this audiobook, coupled with the insight it brings concerning the way the market works, you will likely see an improvement on your overall trade success rate sooner than you might expect. I feel like I got my money worth out of this book. I'll be revisiting it for a while! This is very informative book. I can know them lots of knowledge for trading.this book all of the information very easy to understand it is special book for trading i really like it. These books truly enable you to learn ways and strategies for exchanging and what systems and techniques will be best These books unmistakably demonstrate that exchanging is a decent and beneficial business. This is a perfect beginners guide on Stock Trading. I am sure this book will help you.You can earn enough knowledge from this book.I really interesting this book . This is a great learning book on trading for beginner. A great informative book. Learning approach. Providing proven tips and steps. Recommended. Excellent, MUST READ book for traders. Very interesting book which teaches anybody how to start trading with confidence. I enjoyed reading it. Simple and direct style from the author makes it easy to go through. I like how it breaks down the tools and services to have in order to make happen. I wrote a lot god notes. We'll see if they work when I put them to work. There is also good information on other topics for real beginners such as the importance of risk management, emotional control which are important. I will recommend this book to people who ask me how to begin day trading. You will not only become a successful day trader, once you practice what is in the books, but the books will also teach about the importance of resilience and being persistence in life. Just got done LISTENING it. Another insightful, educational, psychological, and easy to understand AUDIObook by Branden. A great follow up to ‘How to day trade for a living’. GREAT BOOK. 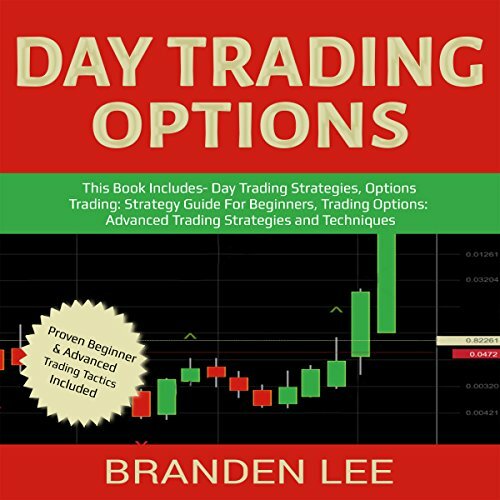 In his usual straightforward and easy to understand style, Branden introduces advanced concepts to improve one's day trading strategies. This book was a good follow up to the first book. It had well in depth information on trading techniques.Highly recommended to anyone already day trading, or looking to get started! I appreciate that there was review of basic concepts and I found the glossary very helpful. 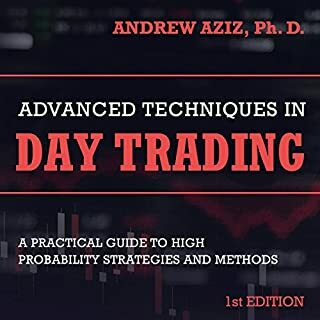 Lots of instruction in advanced concepts.This book is great for beginner, and experience day traders. It covers in and out for all the details. Extremely helpful for me were the many examples and use cases the second book provided; I feel I have a good grasp of the basics upon which I can build a successful approach fitting my own personality and style. The most useful takeaway from this book is proper risk management, and I do appreciate Branden focuses on this. Trade the plan and plan the trade. Traders fail because they break their own rules. That is the most important takeaway from this book for sure. All in all, if you have beginner/intermediate trading knowledge, then this book is for you. It's packed with graphical examples and analogies to help you better understand somewhat confusing topics.